Our Gray's Restaurant is currently having a make-over! Don't panic, all of our dining experiences will be held in our Brasserie Restaurant until the BIG reveal! Open for Lunch and Dinner, Grays combines stunning views across our lake, fountain and golf course with a slick and contemporary décor. Suitable for both small and large groups, Grays is the perfect venue for celebratory meals, business lunches, or casual dining. Created by our Executive Chef and his talented team, our menu is an enticing mix of classic and contemporary dishes to ensure something for every palate. 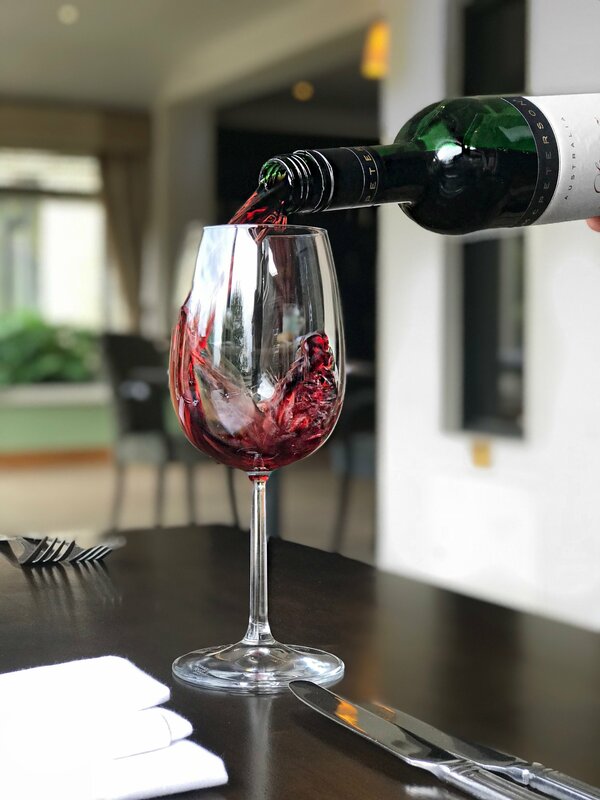 Treat yourself to a freshly prepared cocktail or a bottle of wine from our carefully selected menu to complete your meal. Our private dining space is available for hire to make the evening extra special.